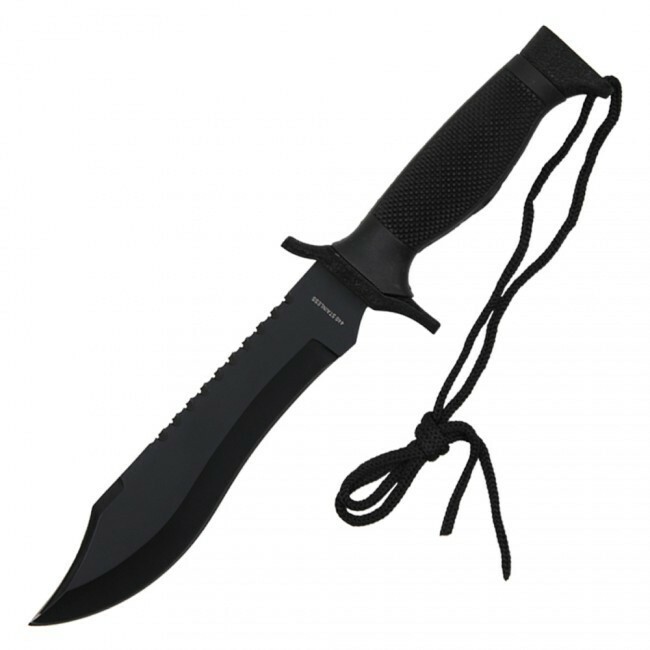 The blade is made from blackened 440 stainless steel. The blade is fully sharpened with a saw on the blade back. This model comes with a plastic handle. The knife sheath is made of plastic. The knife is securely held.